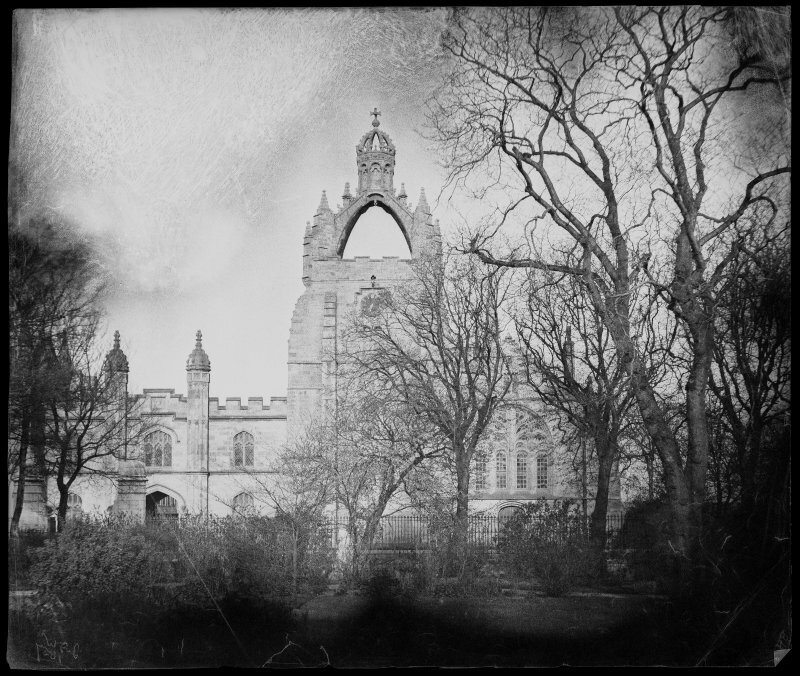 John Forbes White moved to Edinburgh to study medicine and by 1853 was an active photographer, working closely with Thomas Keith. 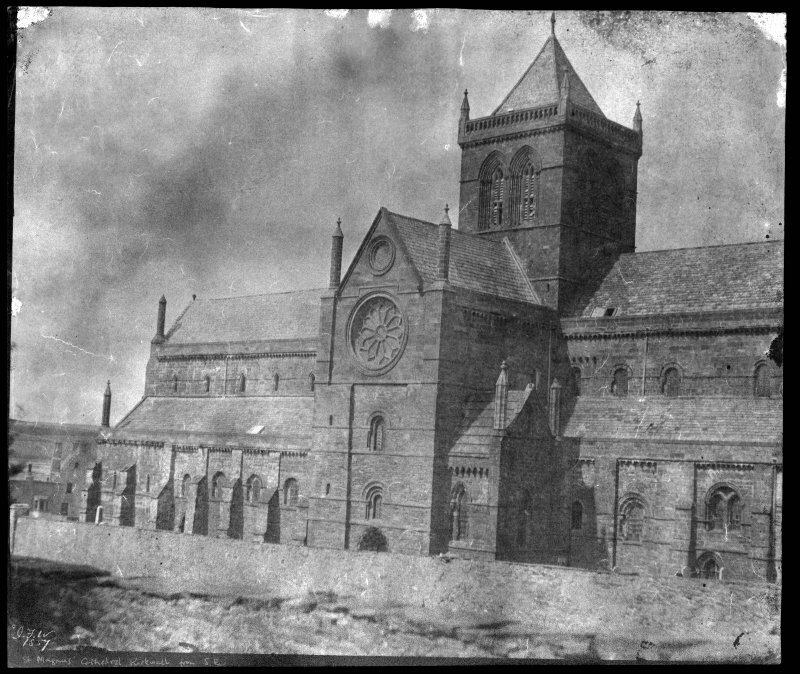 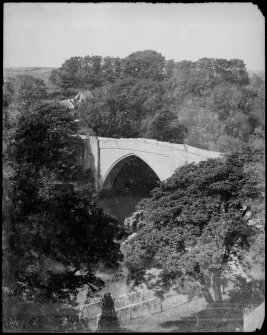 There are some 25 photographs in our collection which date from around 1857. 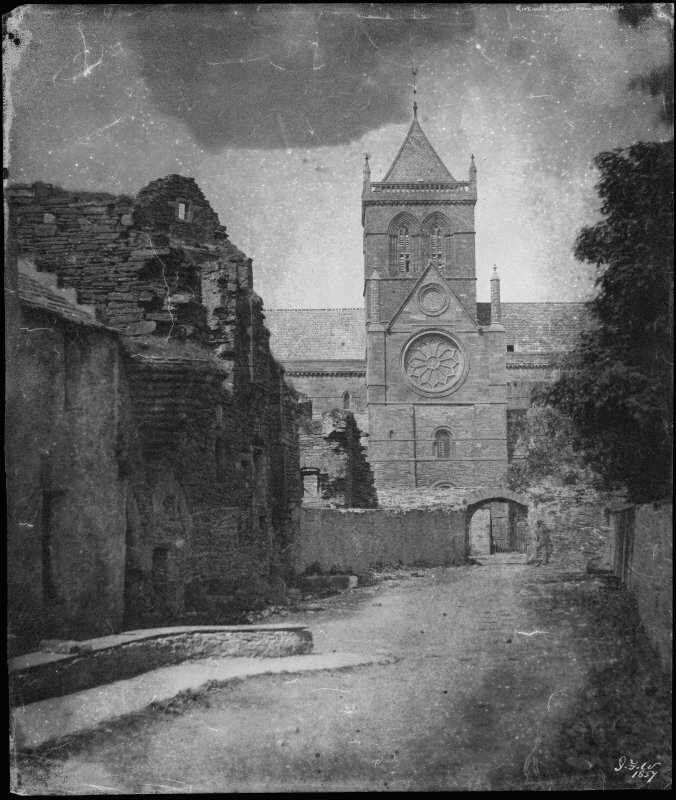 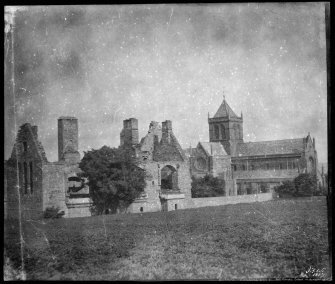 The field of photography was still in its infancy at this time and the negatives and prints we hold are fine examples of an early photographic technique. 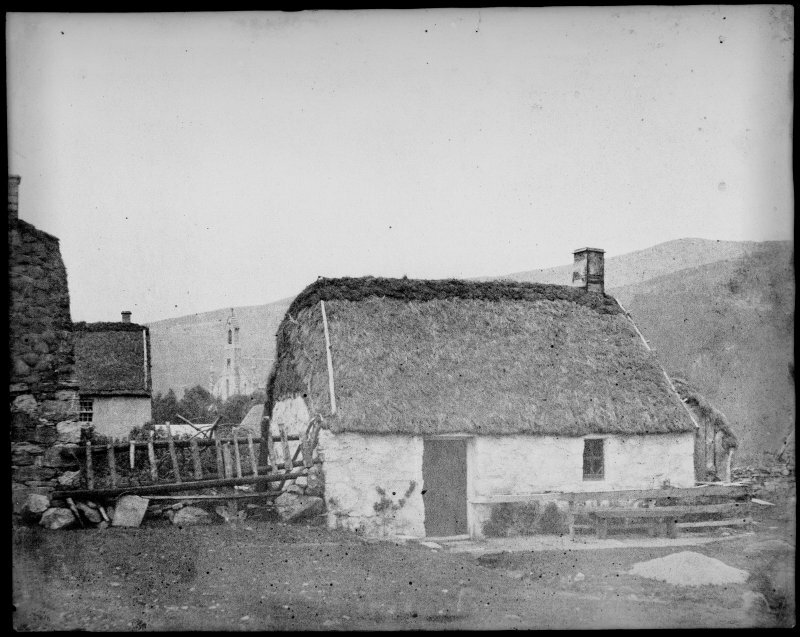 White gave up his career in medicine to run the family mill in Aberdeen and did not exhibit any of his photographs after 1859. He died in 1904. 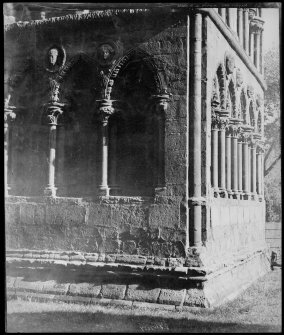 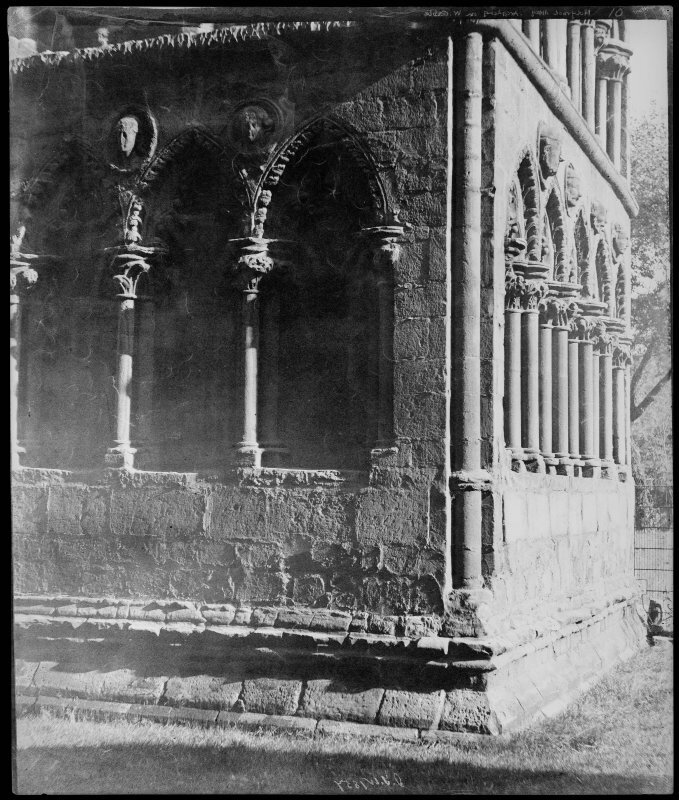 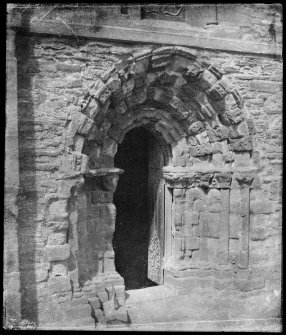 This collection was initially given to the Edinburgh Photographic Society by Lady Fyfe, the daughter of John Forbes White. 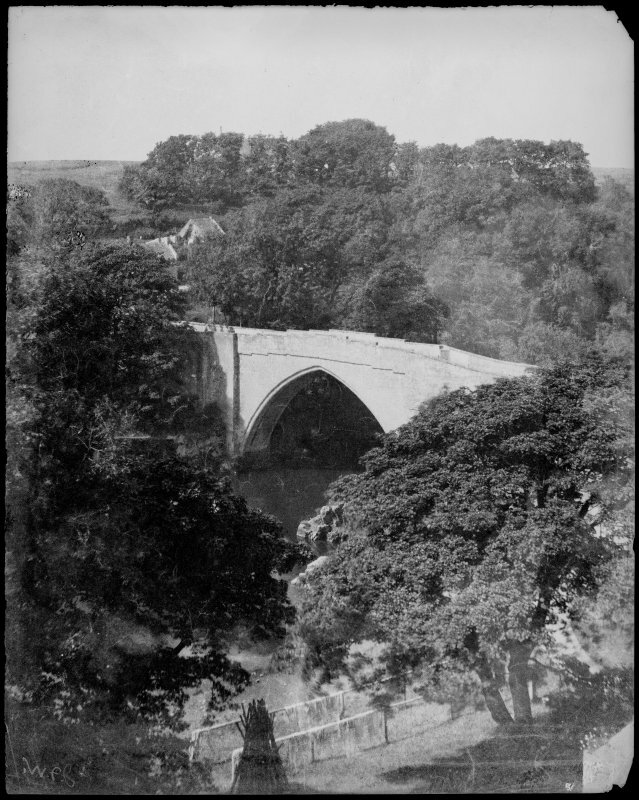 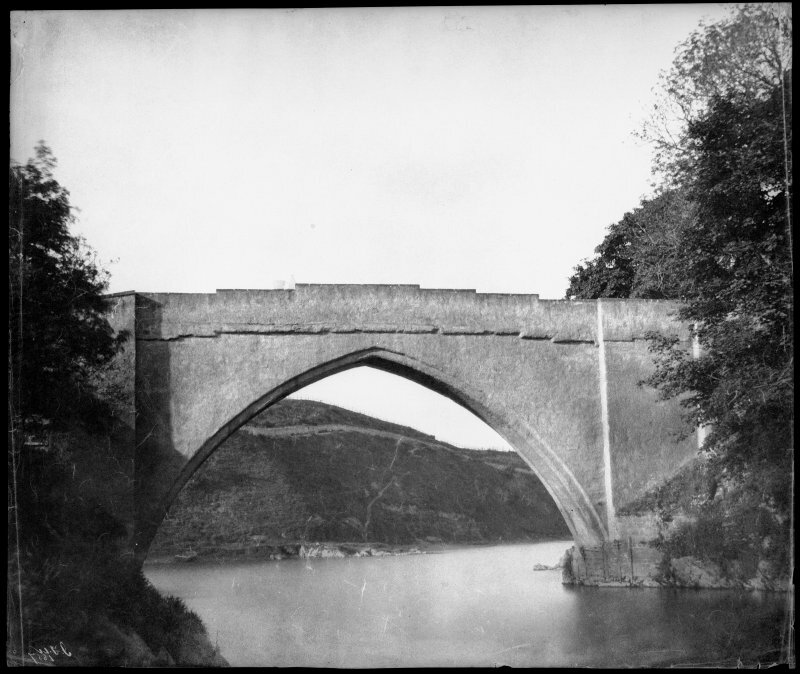 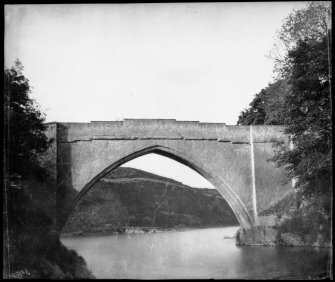 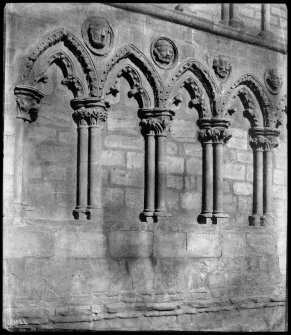 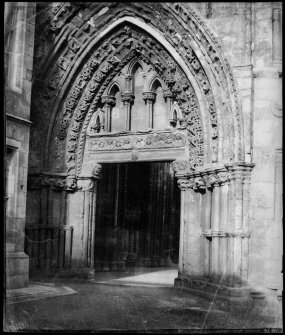 The Society, with the approval of Lady Fyfe, deposited the collection with RCAHMS in order to ensure its long-term preservation. View from the North East of the choir and North transept of Saint Magnus Cathedral, Kirkwall. 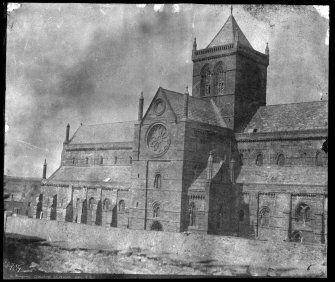 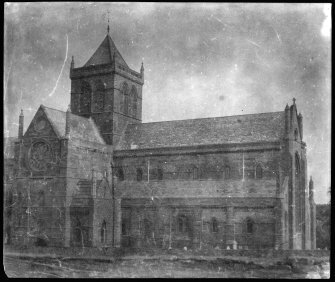 View from the North East showing nave and North transept of Saint Magnus Cathedral, Kirkwall. 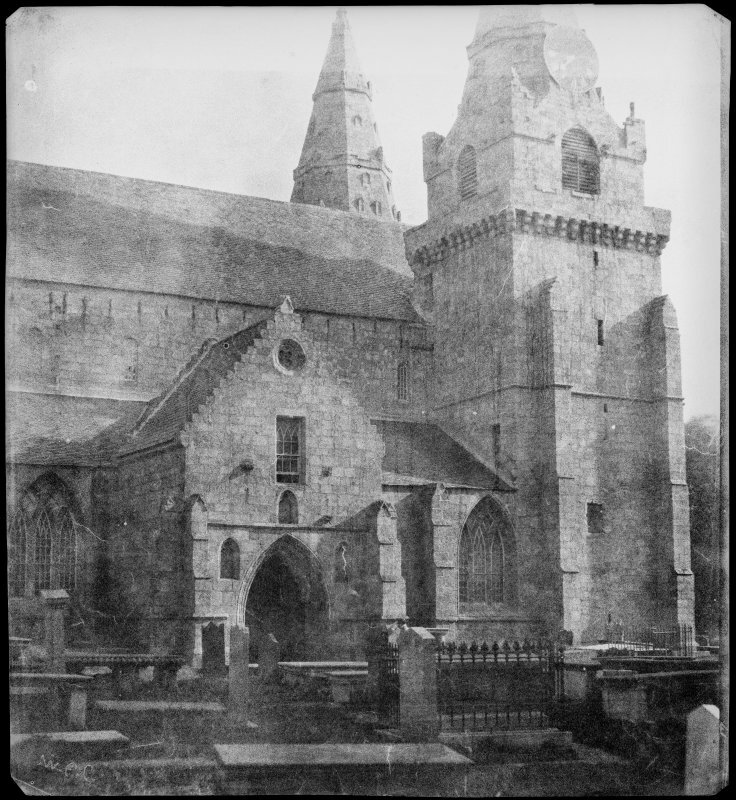 View from the south west of the Bishop's Palace and Saint Magnus Cathedral, Kirkwall. 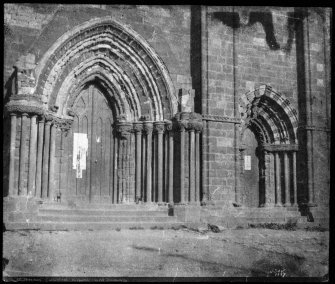 View of the west doors of Saint Magnus Cathedral, Kirkwall, Orkney. 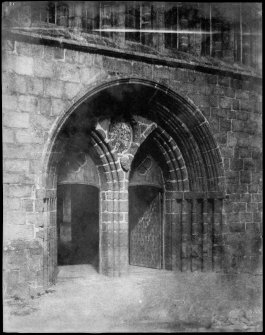 Posters are visible on both doors. Close-up view of an arched doorway in Saint Magnus Cathedral, Kirkwall, Orkney. View of the tower of the Bishop's Palace, Kirkwall Orkney. 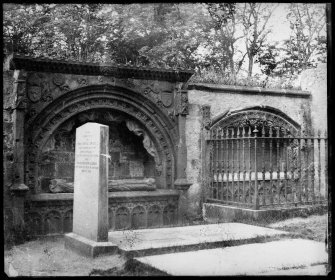 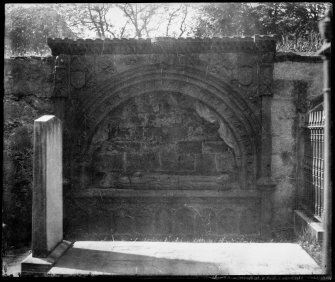 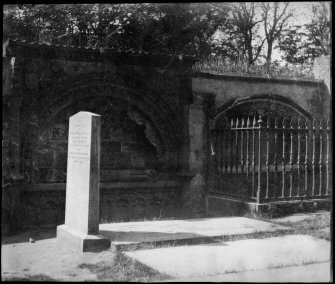 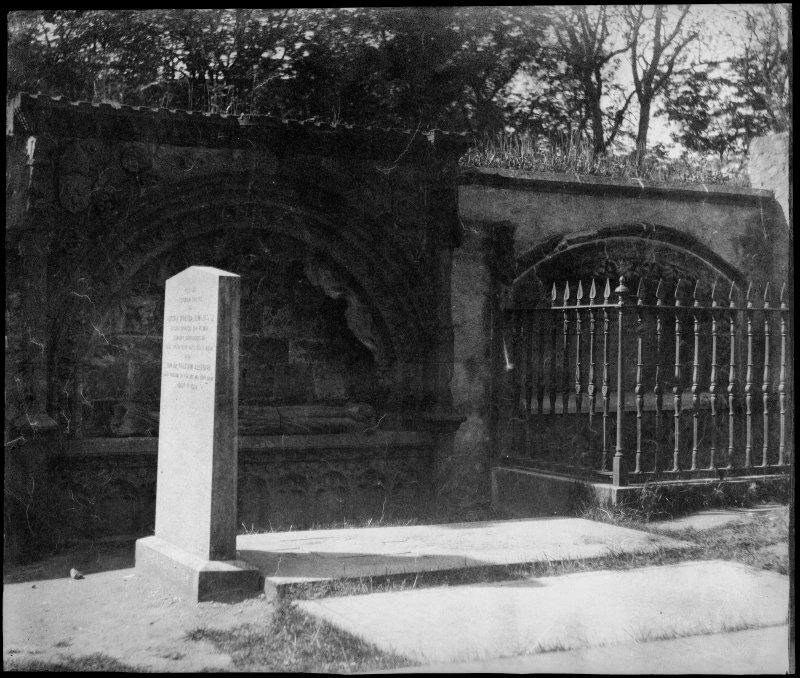 View of tombs of Bishop Dunbar and Principal Jack at Saint Machar's Cathedral, Aberdeen. 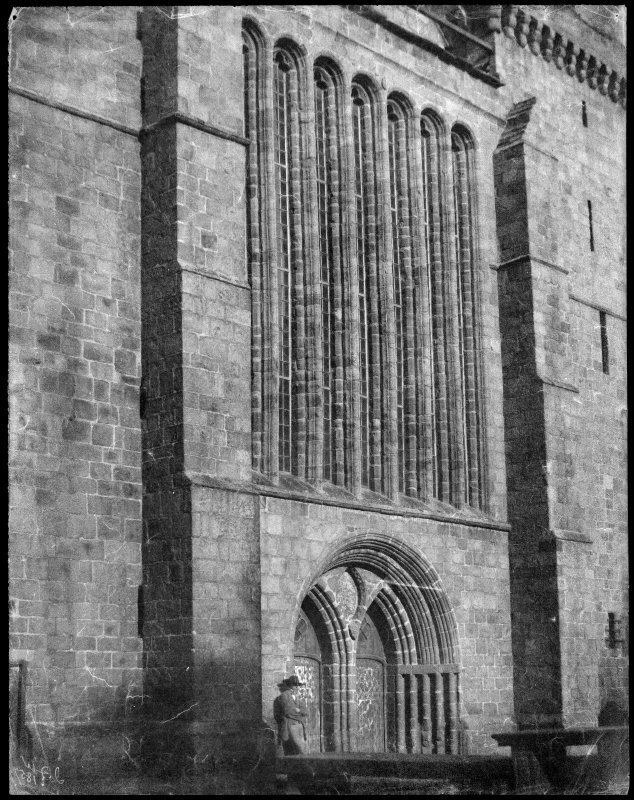 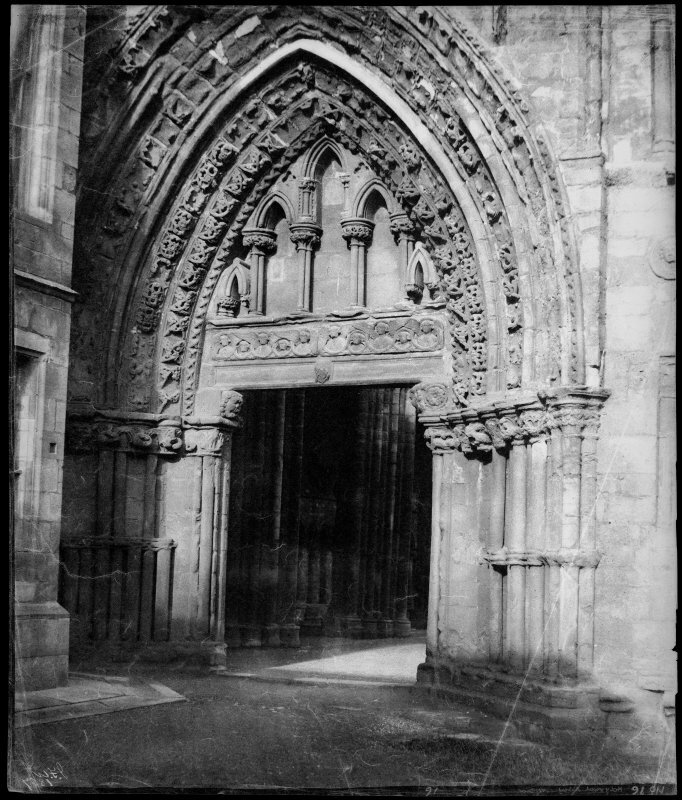 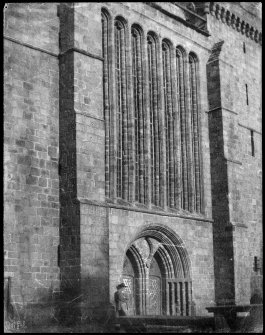 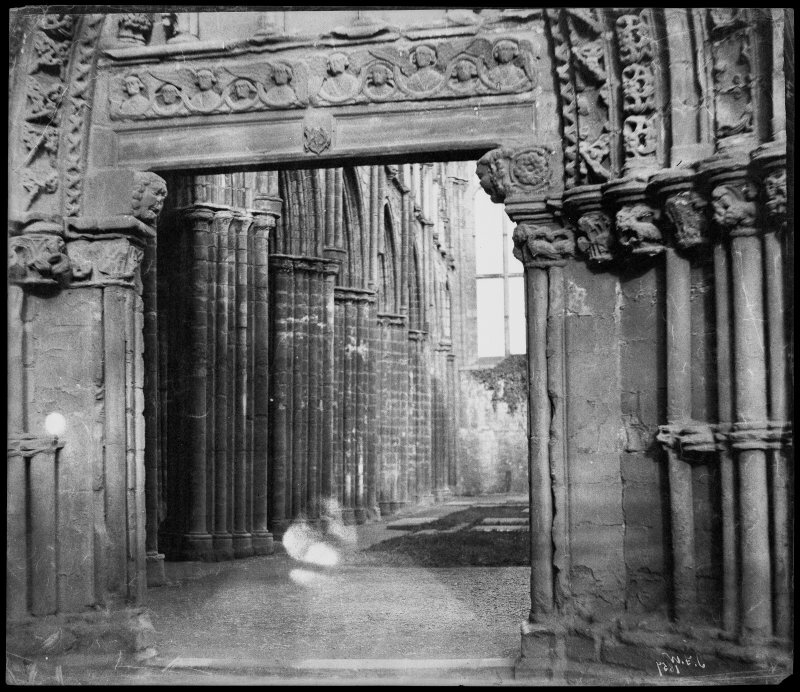 View of the Great West Doorway, Holyrood Abbey. View of a section of the Great West Doorway, Holyrood Abbey. 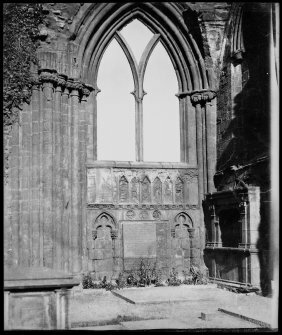 View of window at Holyrood Abbey. 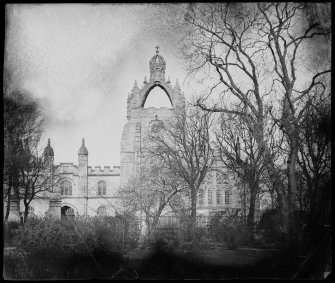 View of King's College, Aberdeen. 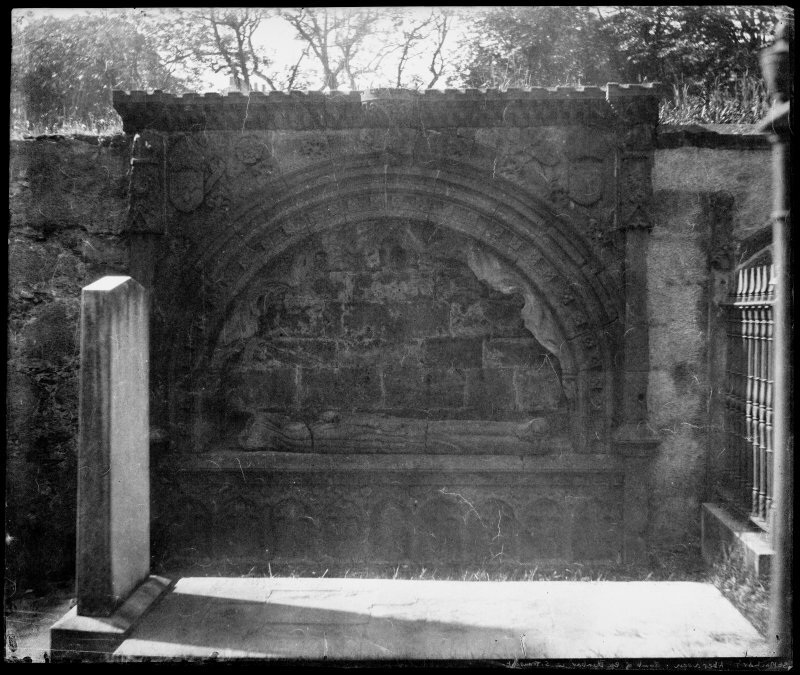 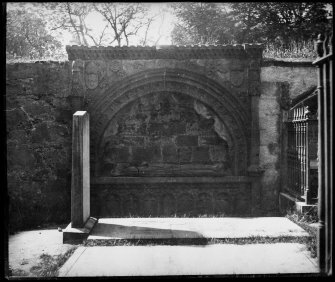 View of Bishop Dunbar's tomb with unidentified effigy, St Machar's Cathedral, Aberdeen. 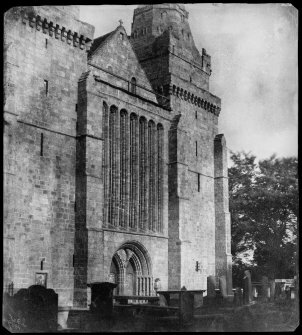 View of South face of Cathedral and South porch, St Machar's Cathedral, Aberdeen. 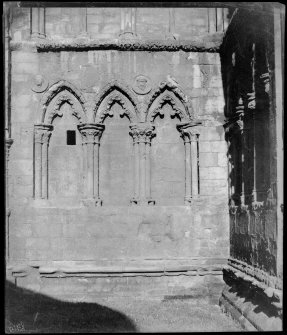 Detailed view of an arcaded wall, Holyrood Abbey. View of the arcaded west tower, Holyrood Abbey. 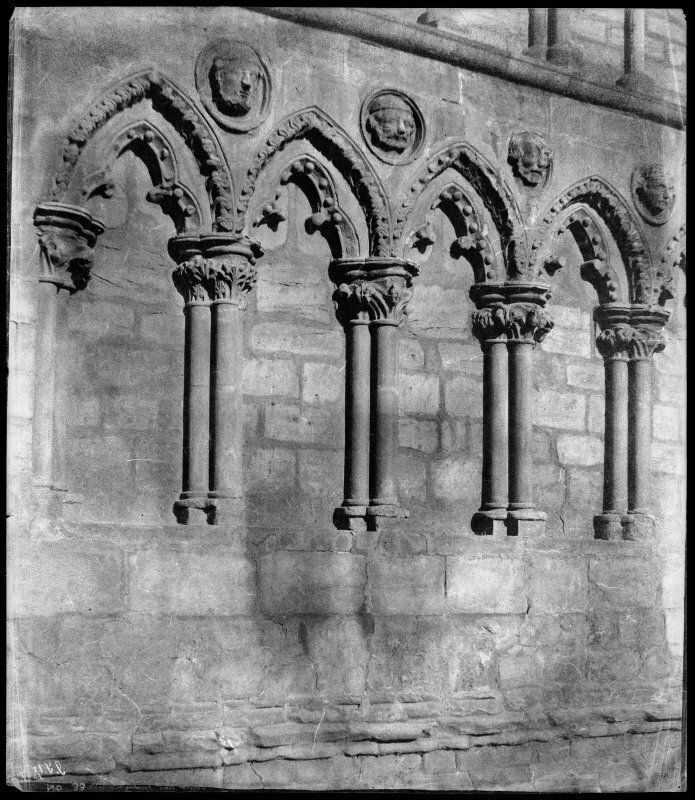 View of arcading on the west gable wall, Holyrood Abbey. 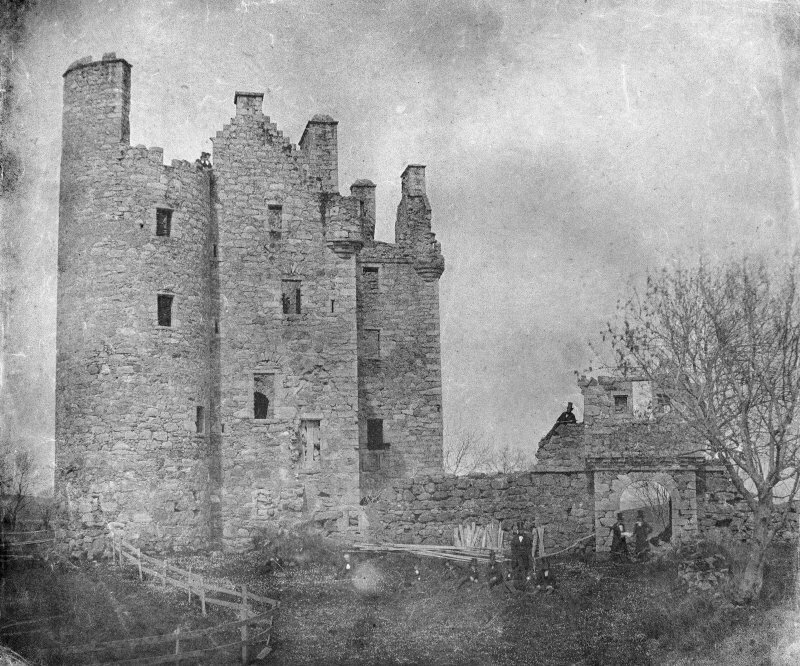 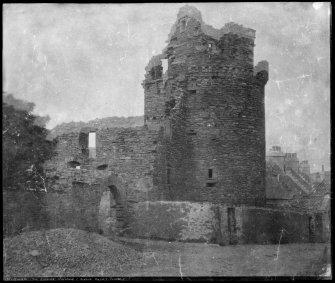 View of the remains of Harthill Castle. 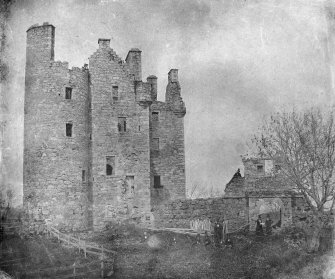 Inscribed "a ruined tower with visitors".